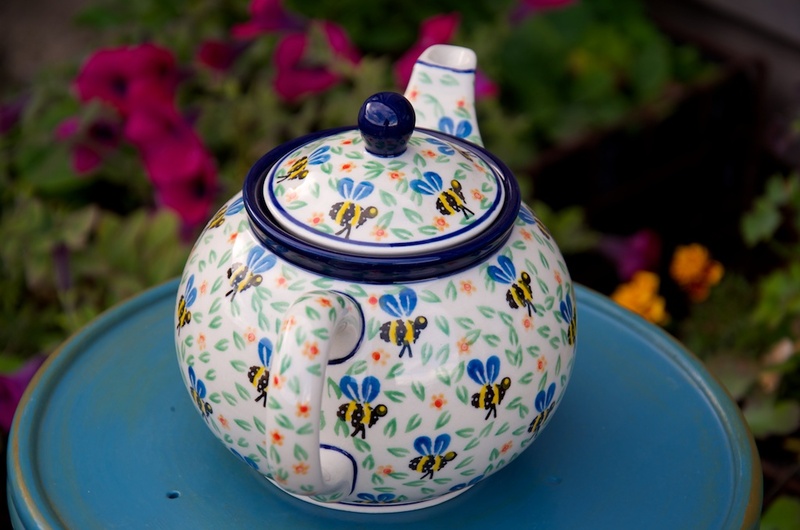 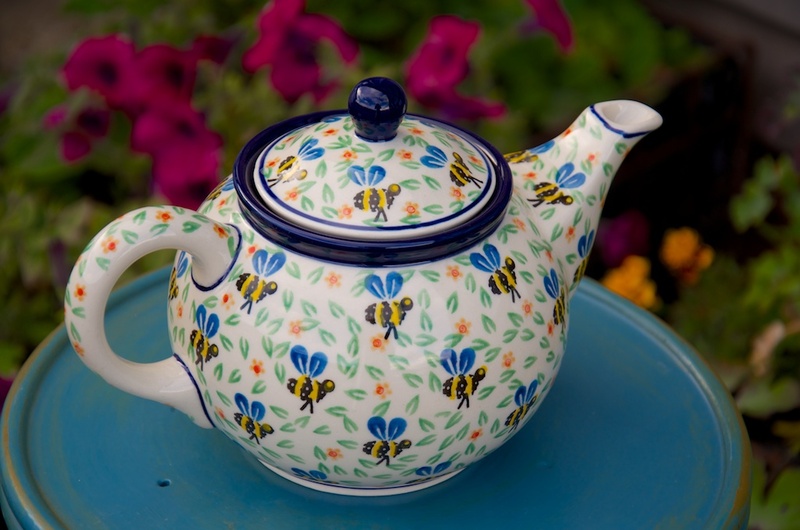 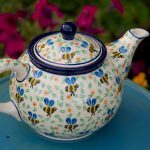 Polish Stoneware Pottery Bee Teapot by Ceramika Artystyczna. 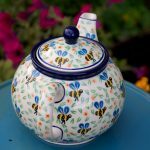 Dimensions 15cm high x 22cm handle to spout. 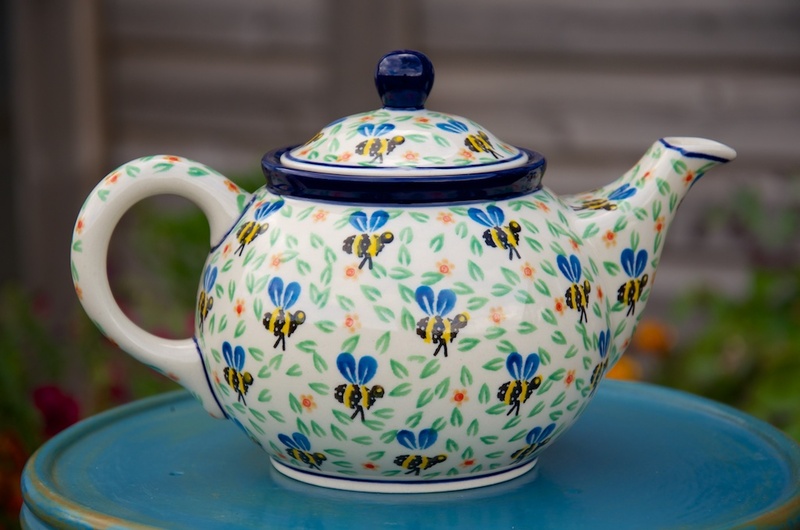 Capacity 900ml or 1.8 pints.